Kwid is also expected to get dual airbags and ABS as standard across all its models. 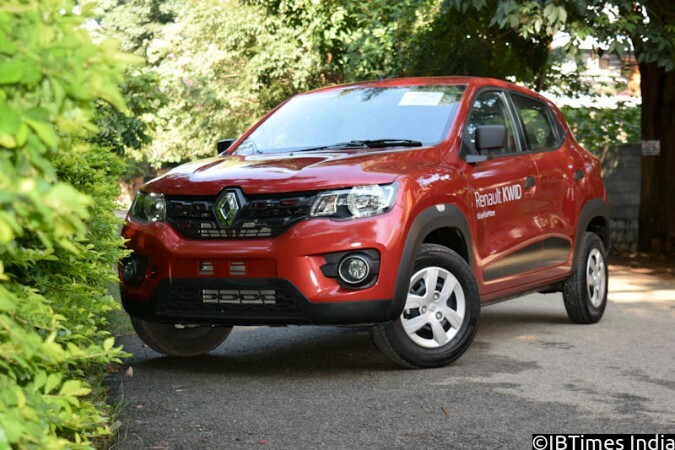 In its attempt to keep the new small car Kwid fresh, after it saw phenomenal success in India , French auto-maker Renault is gearing up to launch new variants of the model in the country soon. It is no secret that the Renault Kwid will get AMT and 1. 0-litre models in its life-cycle, but what is interesting is both these variants could debut as early as in February 2016. A report on ET Auto reveals that Renault Kwid AMT and Kwid 1.0-litre will join the company's arena at the Auto Expo 2016, scheduled to take place in February. While the current model draws power from a 799cc three-cylinder petrol motor which can churn out 53.2bhp at 5,678 rpm and a peak torque of 72Nm, the upcoming models will get a powerful unit under the hood. The specifications of this 1.0-litre Kwid are yet to be revealed, but rumours on the web indicate the new big version of Kwid could generate a power of something close to 75bhp. Renault Kwid, a small hatchback with SUV-like stance, has received over 75,000 bookings in the country since its entry into the market in September, and continues to get tremendous response from auto-lovers in the country. At present, Kwid rivals Maruti Alto 800 and Hyundai Eon in India. The new avatars of Kwid â€” the 1.0-litre and AMT â€” variants are expected to challenge the dominance of Maruti Alto K10 and K10 AMT, respectively. Renault rolled out the Kwid with a five-speed manual gearbox. We also hear that with the new variants, Renault will also offer dual airbags and ABS across all Kwid models, starting from the base variant. Renault Kwid, which is currently on sale in India, is offering an optional single airbag only in the top-end RxT variant.